The Golden Spoons: Big News!! Have you ever had a meltdown?? An adult temper tantrum?? Well, I have! So have 29 other blogger moms I know! Very soon, we are going to be sharing our stories with all of you in this book! 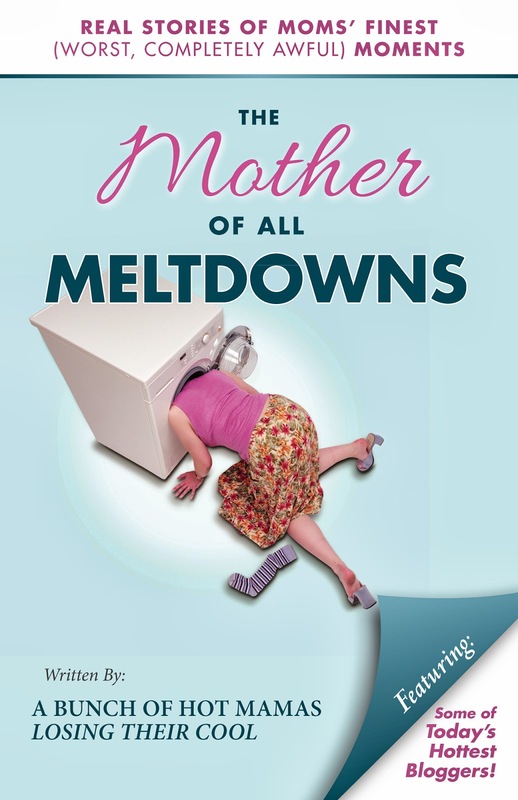 The Mother of All Meltdowns is an anthology of thirty stories in which we are sharing with you some of our best, worst, saddest, and funniest mommy meltdowns. It is for every mother, grandmother, and caregiver who has ever just lost it! From the labor and delivery room to the airport to the DMV, you will laugh, you will cry, and, most of all, you will nod you head in complete agreement! Do you ever find yourself wondering if you are the only one who doesn't react to all situations like June Cleaver? Are there days as a mother where you wish *you* could throw yourself to the ground and have a toddler-style tantrum because you.just.can't.take.it.anymore? Well, so have the 30 hilarious bloggers of "The Mother of All Meltdowns"! These ladies tell it like it is. Gone bonkers because your child didn't appreciate the expensive, theme park vacation you booked to make their childhood complete? Lost your cool because your child decided to play barbershop using her own head? Yep, they have been there. Ever punish your child for not eating the lunch you accidentally forgot to make him? We could not have enjoyed "The Mother of All Meltdowns" more...partly because we laughed so hard while reading, we could legitimately skip our ab workout for the week! Score! Every mom reading will come away feeling like she has 30 new girlfriends who just "get it"! 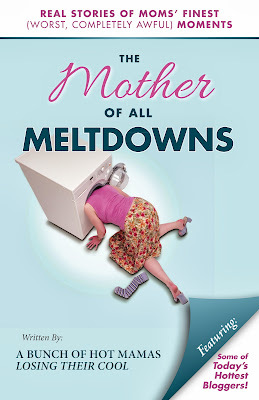 All moms deserve the laughter and validation "The Mother of All Meltdowns" delivers! I am so incredibly excited about this project and cannot wait to share it with everyone!! It will be released in ebook and print very soon!! You can be sure that I will keep you up to date here on the blog as well as on Facebook and Twitter. You can also follow The Mother of All Meltdwons on Facebook and Twitter. AND, check out the the book's WEBSITE where you can see a list of all thirty authors and read the blog where we are sharing even more moments of maddness!!! You are awesome. I can't wait to read more. I've truly enjoyed reading your blog. I'm your newest Bloglovin follower. Thanks for sharing at SSS Hop. Thank you so much!!! I really think you will love the book and am so happy you enjoy the blog! How exciting! I can't wait to read it! Congrats! Congratulations! Sounds like a fun book! How fun! Congrats on the ebook, and the upcoming print version! I may have to do my own teaser on my blog. Wonderful. I have loved this project and getting to "know" you more. Thanks Ashley!! We all appreciate your support so much! I'm SO excited for you!!! Can't wait to read it! A huge congratulations to you, Lisa! When you said you were taking your blog to the next level, you were not kidding! I am excited to read about the meltdowns;).